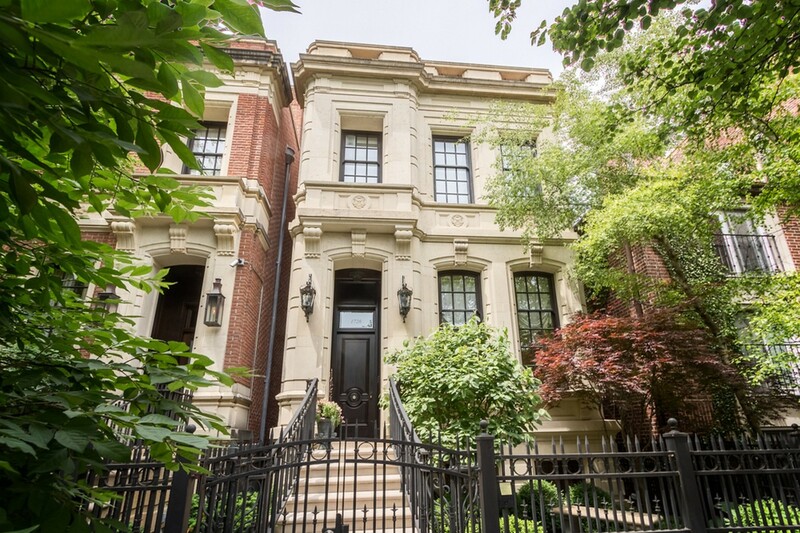 Meticulous brick/limestone 5600 SF SFH on one of LPs best streets. Features beautiful millwork & extensive crown molding & wainscoting throughout. This classic 4 level home has timeless decor that is turnkey ready. The main floor feat a hand-carved Materials Marketing limestone mantle in the LR, a coffered ceiling, FP w/custom wood mantle & grasscloth wallpaper in family room that opens up to a charming bluestone patio w/ FP. Custom white Christopher Peacock kitchen has commercial grade appliances & quaint banquette. Master suite w/ FP, bay window, spa bath, steam shower, Waterworks Empire soaking tub, & WIC's. Custom built bar has w/ temp. controlled wine room w/ Fischer Paykel d/w drawers, sink, 2 sub-zero beverage drawers. Basement laundry has W/D, sink, full refrigerator & oven (for a catering kitchen), Lots of storage!! 2nd floor laundry room has W/D & built-in cabinets. The top floor has workout room/office w/ wet bar, fridge, & powder room. Attached oversized 2.5 heated garage!